This beautiful nail polish was also created by Candy Lacquer. It's a mix of pink and blue squares, plus other small hexagonal glitters, including orange, yellow and pearly white. This is just such a fun mix, I would have never thought of pairing these colors together, but for some reason it works. I liked the formula, so far I think the ones I've tried have been pretty consistent. I chose two layering combinations for this one too; it just made sense, because there are so many possibilities. 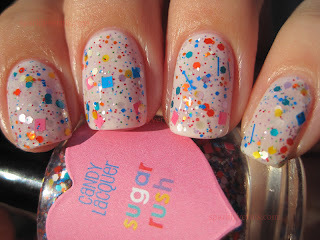 The ones I picked are completely opposites, and makes Sugar Rush looks totally different. Ok, for those of you who have never shopped for indies, I have a tip: be on time! these go by fast. Candy Lacquer will be re-stocking today at 7 p.m. CST. hey the layering order for the purple is the same as the Funny Bunny one. 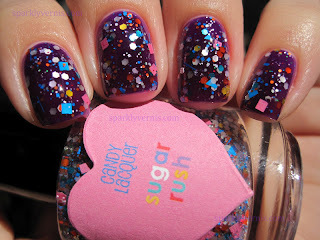 I love sugar rush! 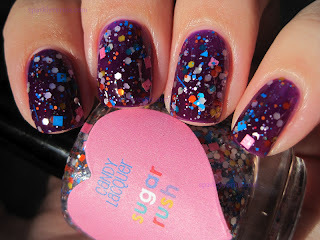 It's lush over FB and that purple is awesome! 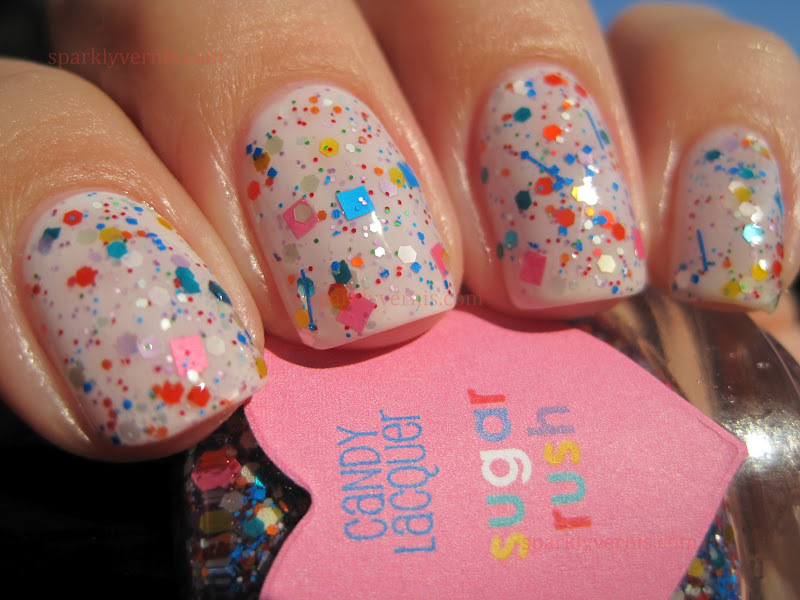 That is so sweet looking. *sigh* I may need to buy it. 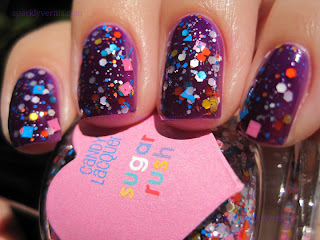 I'm loving matte type glitter mixes lately. I was gonna ask the same thing as "Nail Polish Anon", which polish is the purple color you used? it looks great! 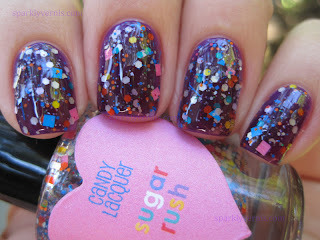 and this candy lacquer is to die for!! 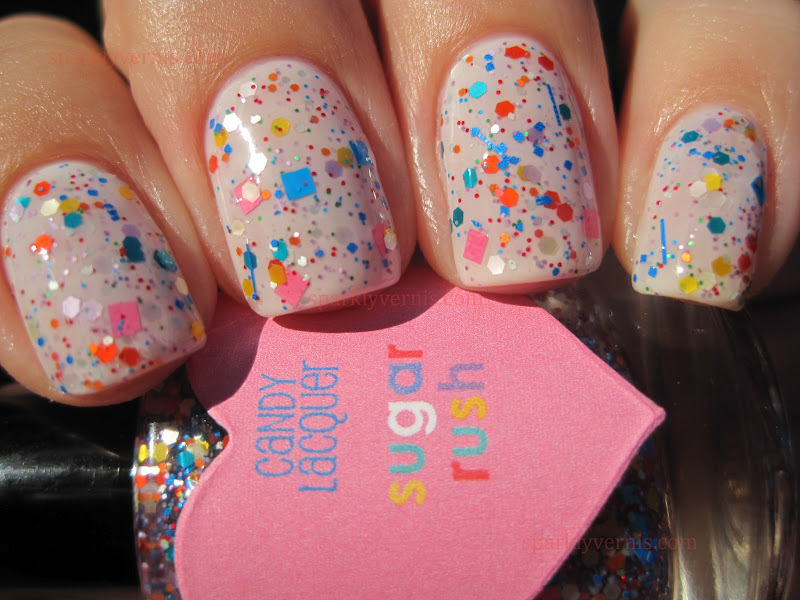 it's so sweet!! Thanks! I edited, it's a purple jelly, love it! CLs are sweet! You should try it over a very whited out pink, I think that would look great! ooh this is adorable...on my indie list! Oh my goodness this is so cute I can't stand it!!!! So lovely! 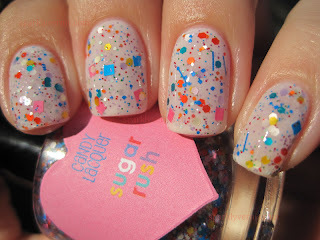 So cute and adorable, you did a fab job layering this polish! These are such playful looks... so adorable (over used word in the comments, but I can't help it, its TRUE! )I'll definatly be looking up Sugar Rush soon. Ohhh! Love it! 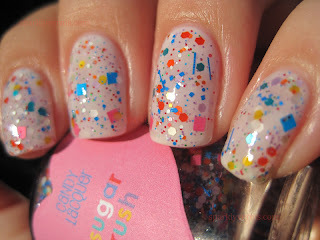 I just ordered my first Candy Lacquers last night! I can't wait to get them!